Now all this condemnation happened just a day or two before our departure back to the USA (Chapter 21, “Our Ex-Heaven“). And the Devil kept up his condemnation and threats about all the horrible things I would have to endure in the near future. I spent the next day or two, walking through the neighborhoods of this little Guatemala City subdivision, listening to the Devil’s torments. I was about as low as a human can go, and not die. Fortunately this month-long “vacation” was just about to come to an end. This had truly been a vacation from Hell! Or should I say…a vacation IN Hell! But finally it came time to go home. It was only hours until the plane flight departure. I decided to go for a walk. I began walking on a busy street in an older commercial area. I was totally crushed by Satan’s overwhelming accusations. 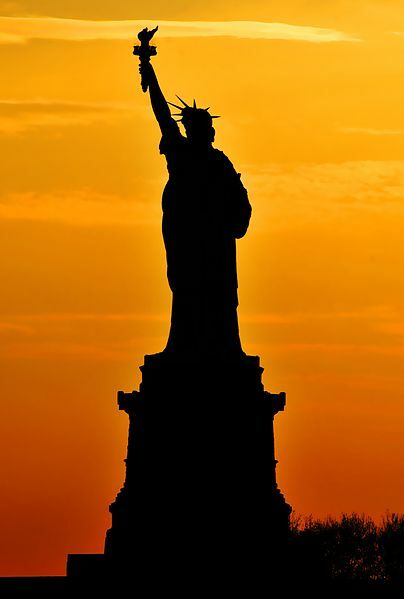 Nevertheless, I wanted to get back to America…in the worst way! As beautiful as Guatemala was… I just wanted to be back home! And now our 30 day “vacation” was almost over…thank God! This truly was the ultimate Vacation From Hell! Not to cast any aspersions on that beautiful little country. As a matter of fact, I would recommend anyone to take a vacation there in Guatemala. JUST DON’T TAKE THE DEVIL WITH YA, WHEN YA GO!! But I had little hope. Hope was all but gone. Hope had already taken flight. And mercy? As the Devil said, “Mercy? Oh Mercy is just a lady that lives down the street!” I had only bad times waiting for me! As I walked along, there was a big billboard that had a large picture of an orange. 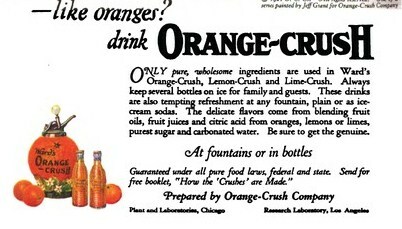 It was advertising the soda pop called “Orange Crush” (mostly written in Spanish, of course). But as I passed by this large billboard, the Devil began taunting me, saying, “Just wait for the big ‘Orange Crush’, Chuck!” And “‘Orange’ you sorry that you were Adolph Hitler?” He kept repeating this line to me, “Just wait for the big ‘Orange Crush’, Chuck!”. As I kept walking down this busy street, I passed by various shops. 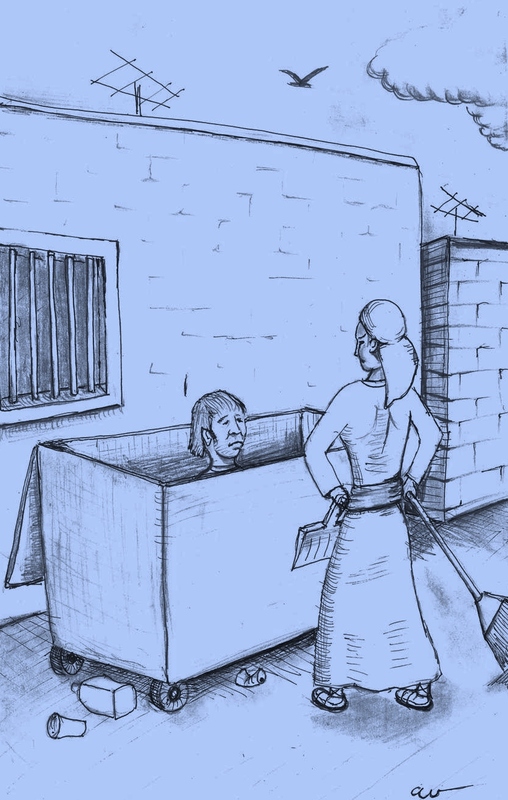 I stopped by one shop and looked through a barred window at a woman inside, sweeping her shop floor…a dirt floor! She carefully swept the dirt in the same direction, so that the lines from the broom bristles created a very straight pattern, all in the same direction. Of course if someone walked on this dirt floor, it would make footprints over the pattern. But that didn’t discourage her! As I looked into the window of her shop, I really, really, envied this person! She’s probably very happy. She has everything! She has her health! She has the sunlight! She has the rain! She has hope for tomorrow! Yes, and she probably has her family. Maybe she even has the Lord and everlasting life! I, on the other hand, was like that comedy skit (see Chapter 1) in which the comedian ended up in a dumpster, having lost every worldly possession! Now I was in virtually the same position as the comedian in the skit. Oh, I wasn’t literally in a dumpster. But believe me, I would’ve traded places with any dumpster-diving hobo out there in the world, at that moment! Yeah, even a lowly tramp’s life would be infinitely better than what I was now facing…eternal hell-fire as I went through the ages, being punished for my past crimes! This dirt-poor Guatemalan lady was infinitely wealthier than me! I had nothing! I had no future! I had no hope! No God! I had only eternal pay-back ahead of me! I must pay for countless ions of time, for the crimes I committed! It’s one thing to be sick, or homeless, or whatever. But it’s quite another thing to be without hope! That’s the one thing you don’t ever want to lose! Hope! My star was fallen. Her star was shining brightly. Even in her so-called poverty, she was infinitely richer than me! Now I saw this relatively poor country in a whole new light! Now it looked rich…compared to me! I suppose it’s much the same for any dying person. The richest person on Earth becomes the poorest of the poor, when knocking on Death’s Door. Everybody seems rich, when you’re just about to die! All those people you once pitied are now pitying you. Thinking back on my life, I now realized I should have invested all my money in long-term investments, back in the days when I had the chance to! Instead of investing in real estate here on Terra-not-so-Firma, I should have invested in the Rock! 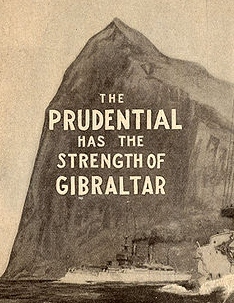 You know, like that old ad… “Invest in the rock…the Prudential Rock!” Well, as good as an investment company that it might be, there is a much more prudent Rock to invest in. It’s called the PRUDENTIAL ROCK OF AGES! And it pays long-term dividends. Really long-term dividends! LIKE, ETERNAL DIVIDENDS!! Ah, but here again, my Grandpa was correct in a little saying of his… “If wishes were horses, then beggars could ride!” Now it was too late to think about all that! Now I was doomed! Now I was condemned! Now my number had come up, and there was nothing I could do about it! I had my chances! People told me about Jesus! I just didn’t listen! I had too much going for me in this world! Why worry about some “pie-in-the-sky-in-the-sweet-by-and-by”? I was a young guy! I didn’t need God! That religious stuff was for losers in life! I was a winner! I had another 30 or 40 years ahead of me! That’s a long time! Isn’t it? Well isn’t it? When I got back to Becky’s parent’s home, everyone was busy getting ready. Dorcas, the parrot, who was so shy for the entire 30 days, was not so shy anymore! No! He was now pacing back and forth on his perch like an expectant father, crying “Rue! Rue! Rue!!” . I thought to myself, “That’s the word that the crazy guy (Mr. Applewhite) had me look at in the dictionary, back in unit 3600!” “Rue! Rue! Rue! !” Dorcas cried out again. I didn’t remember what the word, “rue” meant. But whatever it meant, it freaked me out that this bird was saying that word. Was this some kind of devilish taunt? Why shouldn’t it be? Everything else was a devilish taunt. “Rue! Rue! Rue!” But anyway, we got all our luggage together, and out the door we went. “Rue! Rue! Rue!”, cried Dorcas the parrot. Woe, woe, woe, to the inhabiters of the earth by reason of the other voices of the trumpet of the three angels, which are yet to sound! 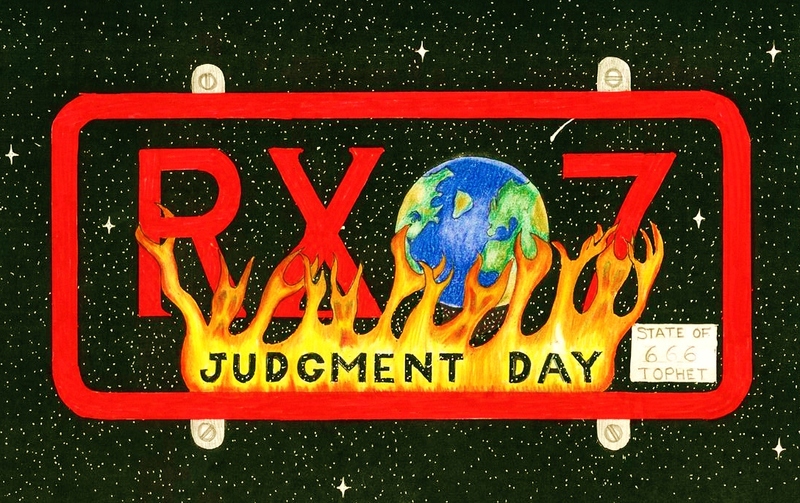 ” Revelation 8:13. Maybe these symbolic trumpets were now sounding for me! Well, it wouldn’t be long until I found out! OK, OK, I know what you’re thinking! And it’s true…that word, Rue, probably means something entirely different in Spanish. But I was going through a very supernatural experience with Satan. So these powerful and highly intelligent spiritual beings were manipulating circumstances. And I have no doubt they had set up this little encounter with Dorcas, like they did everything else. Especially since Mr. Applewhite had shown me that very same word in the dictionary, months earlier. Was that just a coincidence too? And so it had the profound effect upon me, that it was intended to have. And no doubt, the Devil also has planted his land-mines in my story. In other words, I’m convinced that this cunning warrior named Satan…or Lucifer…or the Devil…or whatever name you wish to call him by, is an artful foe. He is so far beyond our intelligence and abilities. And his army of evil angels are likewise capable beyond mortal men. These beings are thousands or perhaps, hundreds of thousands of years old. Maybe millions of years old!! Their intellect is far, far greater than ours! OK, so I got sidetracked from the point I wanted to make. 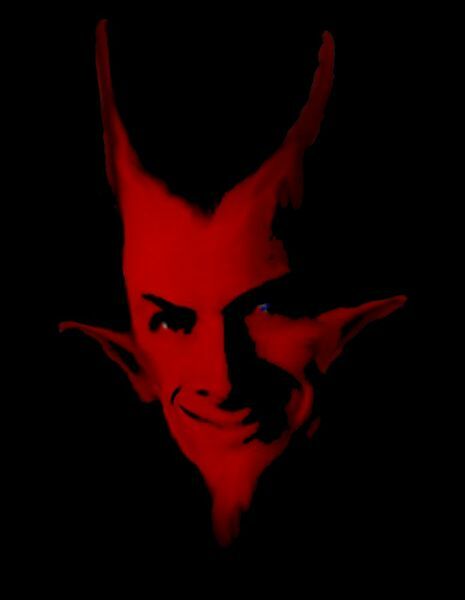 I’m simply saying that it is humanly IMpossible to out-wit Satan. He covers his tracks well! And he seems to weave his attacks on people through natural occurrences, so as to cover his tracks! Anyway, I just thought you oughta be informed. Sorry. Photo of parrot wikipedia share-alike license. We were late to the airport. Well, we were just barely going to make it. We rushed into the terminal and to our window. I just wanted to go home so bad, I could hardly stand it! For some reason they told us we might have to wait for another day or two. When they told me this, I began objecting. I wasn’t gonna stay here another day! I WANTED OUTA HERE…NOW! The jet began charging down the runway. I had absolutely none of the fear of crashing, as I normally would. At this point, I could have cared less whether the plane crashed or not! Compared to the last 30 days, CRASHING WOULDA BEEN FUN!!! As the plane began ascending, the passengers looked back at this beautiful little country fading from their view. I probably sank back in my seat and closed my eyes in relief. This nightmare was over. And I no doubt merely sat there and thought about all the horrors I had just gone through: The Torture of Noises, the truck with Nazi-Like Soldiers, eating my own feces (at least it was MY dung! 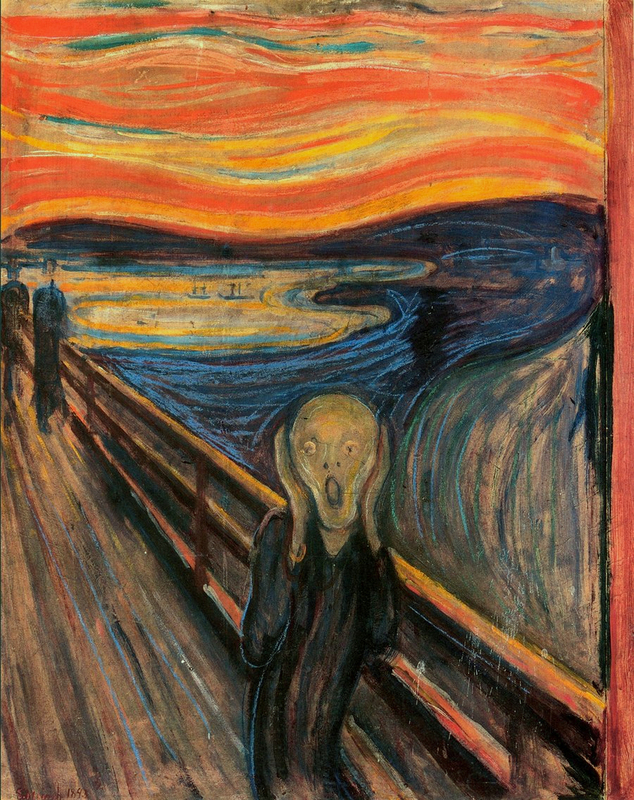 ), and all the continuous talking, talking, talking… and continuous condemnation in my head by the spirit. Plus the various phenomena such as Right Turns Only Phenomenon, and the screams of, “Rue, Rue, Rue” of Dorcas the Parrot. The various lightning storms, during which the Devil condemned me. And all the other unmentioned torments that I suffered over the last 30 days. This was truly the “Vacation From (in) Hell”! But soon we were up in the air. I probably looked down at the beautiful little country. The Land of Eternal Spring. But as I said, for me it became The Land of Eternal Fire and Brimstone! I would think back on all the beautiful places, and all the lovely people (well… mostly lovely). And how the Devil turned these into a Hellish Nightmare! Photo courtesy wikipedia & United Airlines. Share-alike license. Click for link. Soon we landed in Miami. As we came into the terminal, we passed by a McDonald’s in the terminal. McDonald’s! What a beautiful sight! When we got back to Klamath Falls, Becky went her way, and I went home. After several days, I pretty much figured that I wouldn’t ever see her again. As soon as I returned, I was determined to get to a safe place, so I would check back into Unit 3600. Not only did I feel totally hopeless, but the Devil was threatening to make me do crazy things…IN PUBLIC ! Before he outright killed me! So I felt that I better get myself somewhere safe, so that I could be tortured and killed in a somewhat controlled environment. I was very sad that Becky had gone. I sure didn’t blame her though. I must have been terrible company on that trip. Now I was all alone! No God! No hope! No Becky! But the Devil I still had! And he wasn’t gonna leave me alone! This next chapter has some very prophetic moments.